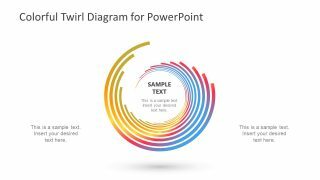 The Colorful Twirl Diagram for PowerPoint contains two rainbow swirl designs. These shapes can present a range of topics including business theories, technical or artistic ideas etc. For example, using the colorful twirl slide as heading layout with the title in the center. This layout format of title inside the several circular shapes and curve lines helps to highlight the center. 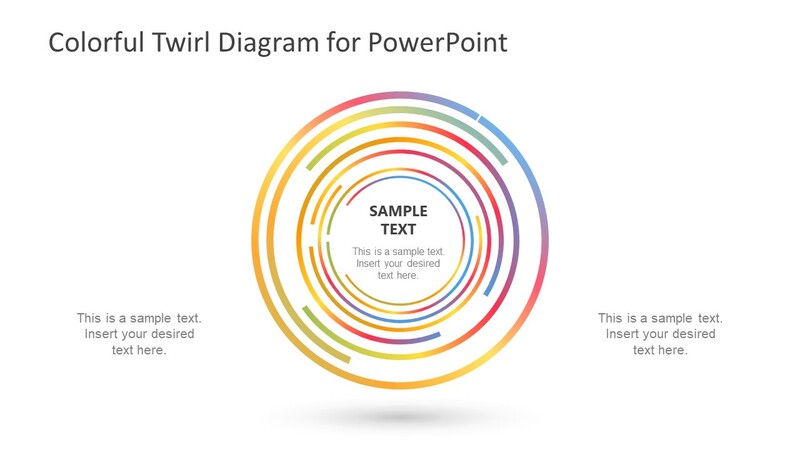 The twirl diagram template of PowerPoint shows two versions of the swirl design. Such as the complete circular diagram with a title in center. And, the other one showing the spiral design of semi-circles. 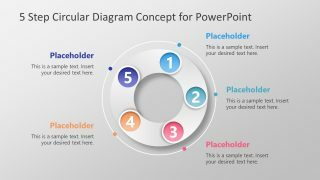 The PowerPoint diagram template contains 3 slides i.e. one full circle twirl and two spiral swirls with distinct backgrounds. 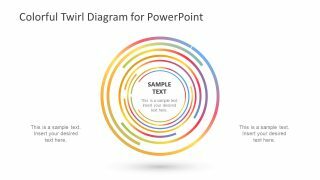 The Colorful Twirl Diagram for PowerPoint contains segments of circles in a swirl flow. These eye-catching rainbow designs are the editable shapes of PowerPoint. It is an appropriate layout for concepts like pieces of a whole, circular workflow etc. The curve lines depict the focus function of a camera shutter. Therefore, the users can present a variety of highly important topics by illustrating the design of magnifying diagram. 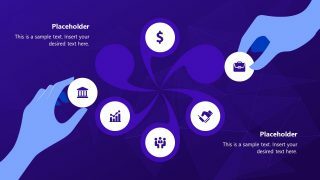 Furthermore, the colorful PowerPoint diagram has many customization features including the shape fill. Because the slides initially contain the colorful gradient effect. The users can choose another set of colors or make single color fill depending on the presentation theme. 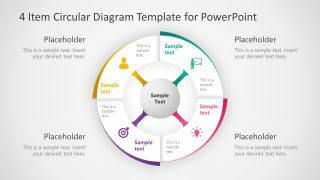 In addition to the text inside PowerPoint diagram of twirl shape, users can also insert a clipart icon or photo. To do so, click on the picture option in insert menu and upload an image from computer. Next, crop the image using the shape-crop option which will fit perfectly inside the round figure. 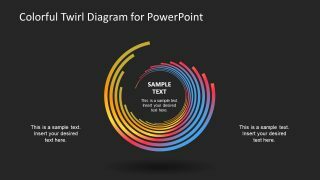 The bright and colorful PowerPoint template with colorful twirl diagram gives a dramatic and exciting look to the overall presentation. While assisting the users to demonstrate the core concept in an innovation format of twirl shape.